This family home is located in eastern Goochland County, Virginia on a site within walking distance to the James River and to Tuckahoe Plantation, the 18th century childhood home of Thomas Jefferson. The design explores the relationship of material authenticity, and expressed formal clarity. 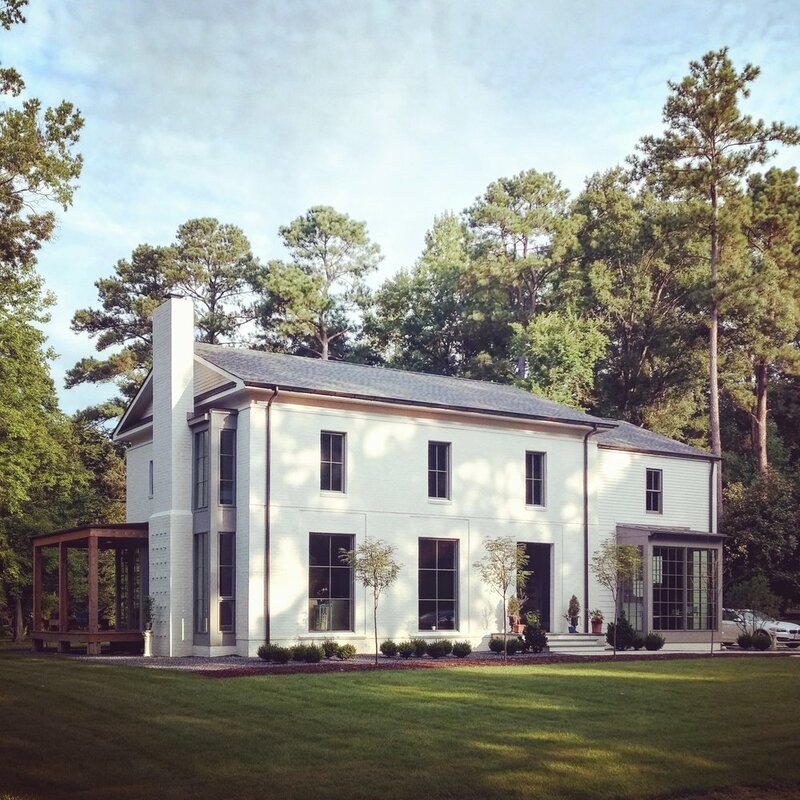 We aim to create a new architectural language of Virginia Modernism within the lineage of traditional rural vernacular architecture found in the Piedmont region. Materials are natural dark manganese ironspot brick, traditional red brick that has been whitewashed in a natural mineral based quartz-lime paint, cedar, and reclaimed Virginia-sourced white oak. Stay tuned for additional photos as this residence completes finish details and landscape installations.